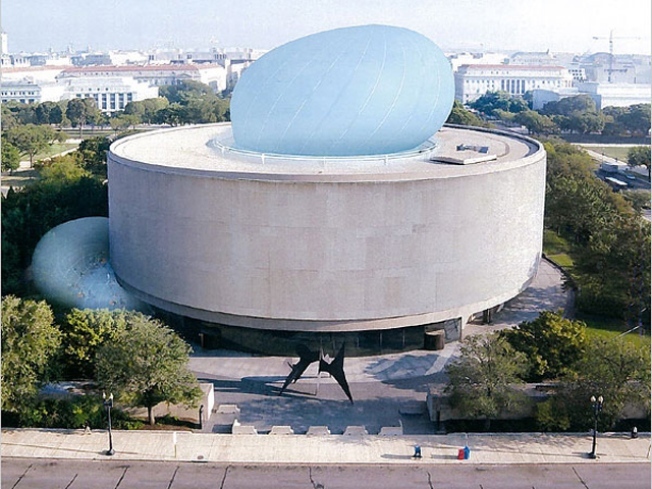 A seven-figure donation would put the Hirshhorn Museum and Sculpture Garden that much closer to building a bubble. Tyler Green of ARTINFO.com reports that the museum has received exactly that. Green reports that Hirshhorn museum director Richard Koshalek told attendees at a recent museum party that a donor has emerged with a seven-figure gift to fund the musuem's proposed temporary inflatable meetings space. The 145-foot-tall bubble would appear twice a year, in May and October, enclosing a stage, an auditorium and a lounge in addition to the museum's courtyard. The design put forward by architecture firm Diller Scofidio + Renfro comes with a back-of-the-envelope cost of $5 million. But design costs often balloon -- pardon the pun -- and setting the stage for activities inside the bubble will come with a pricetag, too. The National Capital Planning Commission has given the idea its support. And the Commission of Fine Arts stands behind the bubble -- which the Internets have taken to calling "the bulbous membrane." But the Smithsonian Institute itself has been shy about committing concrete funds to the ethereal design, meaning that it will take money from donors to make it happen.